2017.12.10 How Do I Love Thee? "Sonnet 43: How do I love thee, let me count the ways" by Elizabeth Barrett Browning. Public domain. It’s impossible to laugh and snarl at the same time. The face won’t do it. This is very far from romantic I know, but what is romance in 2017 in a world full of snark and public incivility even from the White House? Yet it is true that everyone has a love story—not always exotic but always authentic. 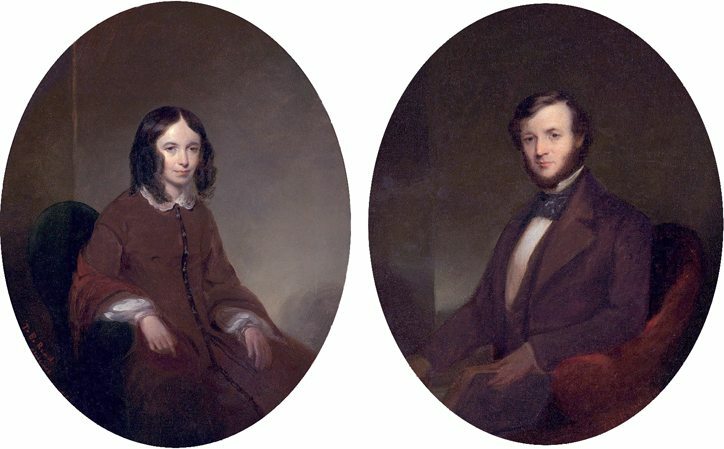 Elizabeth Barrett and Robert Browning fell in love, and poetry was their language. Browning wrote: ”I love your verses with all my heart, dear Miss Barrett ... and I love you too." She wrote a long letter in return, thanking him and asking him for ways she might improve her writing. Barrett was an invalid, and was reliant on morphine, and it was some months before Browning convinced her to meet him face to face. Barrett's father didn't like Browning, and viewed him as a fortune hunter. Love and poetry prevailed and the couple eloped in 1846—off to Italy. Where else? Barrett never saw her father again. Every love of any kind comes with its shadow. In spiritual terms, cross and cradle remain inseparable—not for doom but for truth. We all crave solution and resolution, and we sentimentalize love to rid it of fear. Every prophet in every religion fiercely cries out against falling in love with illusory glitter. Yet we do. So? God is still falling in love, still ready to elope, still ready to be born and to die. I offer this wisdom at all costs and anyway: Tell the bold, bare, fierce truth about hate and sin and rage and outrage. Then keep going. Be John the Baptist. Be Jesus. Be both. Go where the love is and invest with courage. So what if it can’t last or be perfect? Go for it anyway. God does.